Hello, Hope this post finds you all well! So much is happening in real life that I’m struggling to find time to post to all you lovely people. My sister is getting married in just under 1 week so it is a very exciting time for the family :). Young Adult literature can be traced back to WWII where our teens found themselves needing a form of book that could bridge the gap between childhood and adulthood. Many books can be seen as YA (The Lord of the Rings, Catcher in the Rye) but it has been the sudden increase in popularity (thanks to Harry Potter) that has seen an emergence of some great YA books. Yes I thought I would start with the most obvious YA series and one that is on everyone’s list. The Hunger Games is a great trilogy and I feel that the films are just as good (quite an anomaly). It follows Katniss as she volunteers for her sister in the 74th annual Hunger Games, a disgusting reminder of the power the Capitol has over the districts of Panem after the destruction of the USA and the uprising that occurred. Portrayed as a ‘competition’, this is really a way for the government to remind the citizens that they can kill anyone who crosses out of line. Unfortunately for Katniss, in trying to keep alive she unwittingly becomes the face of the new revolution. An excellent series that has spawned the spin off of Dangerous Creatures. Far superior to the film (which completely changes the ending). Whilst I haven’t really enjoyed Garcia and Stohl’s stand alone novels, Beautiful Creatures has great main and supporting characters, interesting plot and well crafted romances. This trilogy was just equisitly written. A werewolf romance story is the basic storyline but it is so much more. When the tempreture gets below a certain level, Sam has no choice but to be a wolf. He is ripped from his human form no matter the place or time. If he wishes to stay human for longer, then he needs to stay warm and not just pull a jumper on warm. Grace has always seen the wolves near her garden, in fact she had a strange interaction with one when she was little and now always sees him as her wolf. When she discovers what he is, they fall in love but can they cope with the pressures of this lifestyle and can Sam keep returning into his human form? From my last post you could have probably surmise that Vampire Academy was going to make it onto this list. The story of friendship, love and high school mixed with vampires and guardians makes Mead’s first foray into YA a truly great one. The characters are great, the twists surprising and the plots enjoyable. A series of 6 and it seems to end too soon. 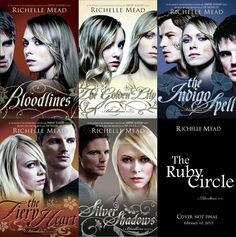 Luckily, Mead must have thought it ended too soon to as she carries on the world forged in Vampire Academy in Bloodlines. Instead of following Rose, Dimitri and Lissa, we follow Sydney, Adrian and Jill. Sydney was a secondary character appearing in a few of the VA books. It’s interesting to see her as she is so anti-Vampires to begin with and has to overcome this prejudice but in return is shunned by her own people for this acceptance. A very different problem to that of VA but one that seems much more realistic and poignant in today’s world. Robert J Crane is a self-published author and someone who has been kind enough to help me with my MA. He recently answered some questions for me towards one of my case studies. Besides being a lovely man, he is also a great writer. The Girl in the Box Series is excellently written, edited and set out. It’s very professionally done and I would highly recommend that if you have never read a self published work before, start with Crane’s. Writing with a female protagonist as a man must be hard but Crane has managed to get all the teenage girl angst so true and congratulations to him for being the only male writer on this list! 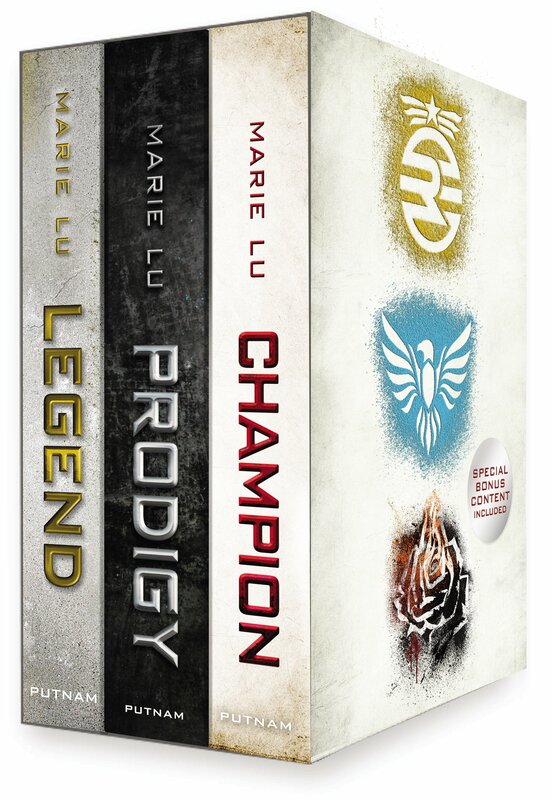 The Legend Trilogy is like a cross between The Hunger Games and The Divergent Trilogy. There is the shunned part of the city (as District 12 is) and the elite part of the city (think Panem). However, there are classes like there are in Divergent that the elite can partake in. We see that this new country is flawed and our two protagonists are thrown together. The ending is better than both of the above mentioned books. It doesn’t let you down as much as The Hunger Games does and it doesn’t destroy you as Divergent does. Great solid trilogy and a worthy option within this list. This is coming out this year as a film and I felt I should get the book in before that occurred. From the trailers I can already see that they have changed certain parts of the book so I am not too happy about that. This book is one that I feel all girls will be able to relate to. Duff stands for Designated Ugly Fat Friend and whilst the Duff doesn’t need to be fat or particularly ugly, she is the one who isn’t as pretty as her friends. However, we see that all girls feel that they are the Duff at some point in their lives. All girls seem to have this ability to only see the bad in themselves and see how perfect that is in one of our friends whether it be they have better legs or eyes, when in reality you have better hair and smile. As a girl, give this a go and as a boy, read it to discover that what bad you say will stick with girls longer than the multitude of good things you say and do. If anyone has read my review of The Host will know, I found this highly superior to the Twilight series. The storyline of a love box in three bodies is excellent. How you are never confused between Wanda and Melanie shows just how strong the characters are when they share the same body and space. 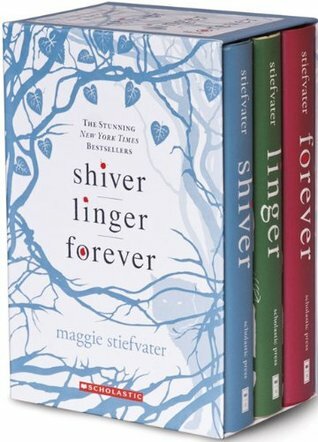 Mayer may have hit gold with Twilight in terms of fans and money but it is this book that should be her crowning moment. 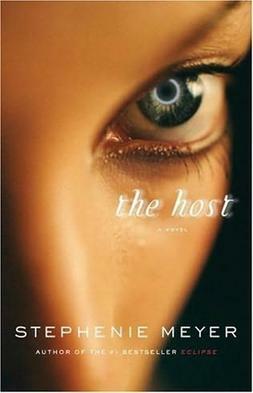 Better written, better characters and a nicer love story, The Host is the Mayer book you should be reading. A very recent read of mine and an excellent one at that. Similar to the other’s in that it is dystopia, we find people who are chosen by the city to be potentially educated at the University. Here, the 16 year olds must pass tests of logic, memory, ruthlessness and leadership. They forge alliances, create friendships, enemies and learn how far they are willing to go. Once successful, their memories wiped and they know nothing of the horrors of what they have done… or do they? A brilliant read. I could have added Harry Potter but I feel everyone knows that this will always be in any book lovers top 10 so I felt it needed to let other books take centre stage! If there are any you think I should have added, let me know in the comments! I have decided after this week that I really like Indie authors. Any of you who follow this blog on twitter will know that I have been doing my usual tweeting and tweeting to the authors of the books I am currently reading. Now, when you do a mainstream author, chances of getting a reply or a re-tweet are very small. Tweet an Indie author and you shall see miracles! Both Lily Zante of A Perfect Match series and now Robert J Crane have tweeted back to this little blog and indeed re-tweeted certain posts. This is obviously beneficial for both parties involved, getting my blog out to new people and the same for them. Obviously being nice does tend to help in one’s review of a book. You might not say it is a good book but you can say the author is nice! Back to the series in hand. 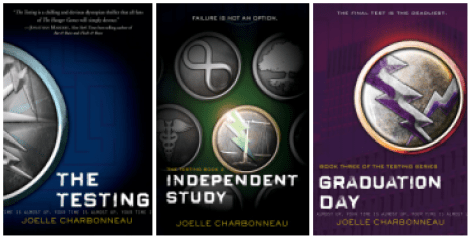 Again, through Kindle, the first three books of this series was offered to me. After reading Caged I was slightly apprehensive of reading another free paranormal book, especially one that gave me three new books. Luckily I was hooked on these from the first chapter! We meet Sienna, a girl who seems to have spent her whole life inside her house. Her mother has her rules, Rule #1 being no going outside, as well as no talking about outside, always wear a full set of clothes including gloves and to basically listen to her mother all the time. Two men break into her house with guns and surprisingly, Sienna is able to defend herself extremely well with a great sense of wit to boot. Escaping her house, she runs into another man and he helps her to escape. Reed turns out later to be a great friend (watch for the twist) but for the mean time he ends up being knocked out by a hulk of a man named Wolfe. This guy is out for Sienna (another one?!) and nearly captures her at the local mall. However, a few tranquillisers later and the two previous men intervening, Sienna manages to escape. The men take her unconscious body to an institute called the Directorate and here she learns about herself and that she is part of a species called metas. These are humans who have extra strength, speed, agility, intelligence (sometimes) and their own individual power. Sienna learns she is a Succubus, a person who can dream-walk and steal people’s souls/essence from them. This obviously kills them and causes great distress to Sienna in more ways than one. Throughout the series we have questions raised, such as where her mother has gone too, can the Directorate be trusted, who is Reed and many more resulting in a hair raising, emotional and sometimes funny quest that we venture on with Sienna. I love this book series. The plot isn’t fully complete as I am currently on book #7 out of 10. I have read the previous 6 in about 2 days. This is how enthralling a storyline it is. I have always been a bit of a geek and these books play on this extremely well. Very large geek references are throughout, from the comic books (Iron Man and Thor) to Star Wars and more. I am sure there are some that go over even my head. Sienna is a great character. Unlike in Caged where the leading lady was just annoying, Sienna has an Orissa feel about her (from the Contagium Series). Her tongue in cheek wit is great and I wish I had the ability to dish out some of her comebacks. She is so mature in some ways and then in a blink you are reminded she is only 18. For a man writing about a woman, Crane did an excellent job of getting an 18 year old girl insecurities down pat. Her feelings and emotions are some that I can remember from my later teenage years so well played Crane! Like I said, I haven’t finished the series yet so I do not know what is going to happen and I am finding the directions the books are going in at the moment to be interesting. I hope we get a good ending and I’m trying not to rush them to find out as I am prone to do because I like them so much I don’t want them to end! For me they are as good as Emily Goodwin’s Contagium Series (another Indie author and the next one isn’t out until September this year!!!) and as I loved them this is high praise indeed! My verdict is 9/10. The same mark as I gave Goodwin’s and an excellent read. I just hope the remaining books stick to the same level of entertainment! Give them a go, especially as the first three are currently free.